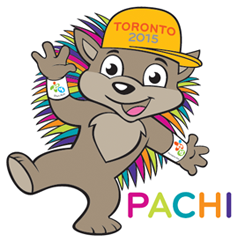 Catch the excitement of the Toronto2015 Pan Am/Parapan Am Games here! Whether Whitby is your home or you’re visiting from afar. Find out everything you need to know about the Toronto2015 Pan Am/Parapan Am Games here. Carry the Toronto2015 Pan Am/Parapan Am Torch. Check out the details! General Ticket Sales start December 8! You’ll find competition schedules and tickets starting at $25 here. Business plays an important part in the Games. Find out how you can participate. Make your mark and become a Toronto2015 Pan Am/Parapan Am Games volunteer. Make your application on-line. This is your once-in-a-lifetime chance to be part of these great Games.